Talk about a different perspective, a different time, a different world. The way history shows up in virtual Chinese conversations is something to watch. 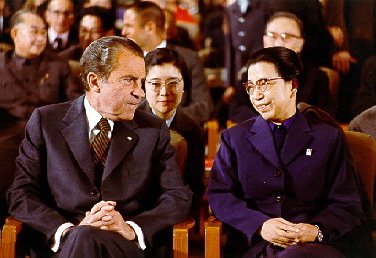 Many mainland Chinese have warm feelings about Nixon, who was the first sitting American president ever to visit China, and who re-opened the US-PRC relationship in the midst of the Cold War and the Cultural Revolution. For a flashback to a different era, check out this wonderful series of top-pick photos on Sina.com documenting Nixon’s first visit to China in 1972.